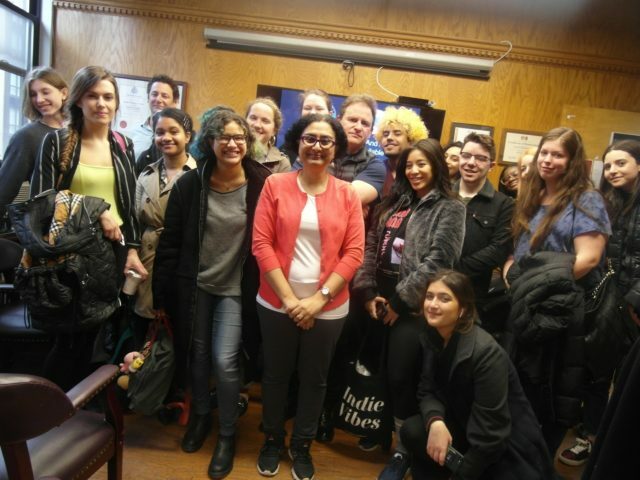 Vartest hosted Dr. Preeti Arya and her Fashion Institute of Technology (FIT) Textile Development and Marketing class. Students watched a PowerPoint focusing on the difference between Product Performance Specifications and Test Methods. The students toured the lab seeing ASTM, AATCC, ISO, GB, ACT, BIFMA and Federal Standard 191 test methods for testing fiber, yarn, fabric (both coated and uncoated), used in apparel, aerospace, medical, military, couture, upholstery and active sportswear end uses. Specialty testing markets like HVSA (High Visibility Safety Apparel) were reviewed in detail. Vartest is glad to have built a relationship with the textile and apparel quality assurance and compliance executives of the future and continues to work with both FIT and its students.